MUSCADINES! Possible income producing property. 60 +/- acres of land with approx. 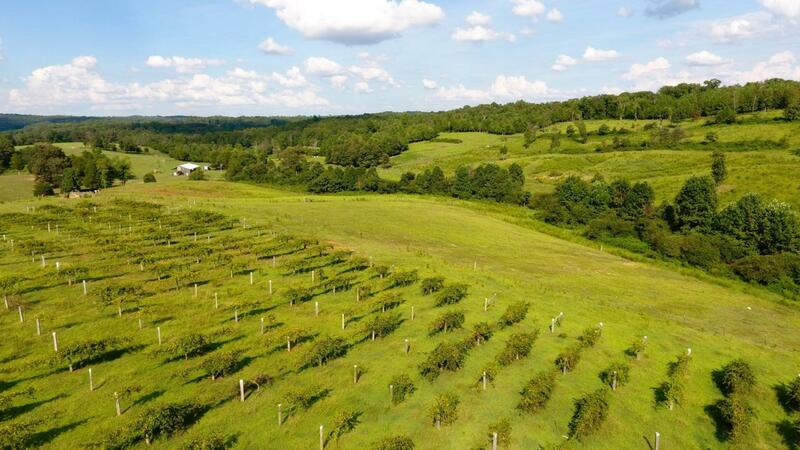 4.25 acres of muscadines with irrigation. Property is fully fenced and cross fenced. With a underground 4000 gallon water tank which runs water to all pastures. There is a mobile home on the property with an additional studio apartment built on the back side. The mobile has 3 bedrooms and 2 baths. Would make a great place to live until you build your dream home or rent it out for more income! Very private and picturesque, go to the back side of property to hunt deer and turkey! This property is part of a larger tract that is being divided but can be bought as a whole. Second parcel has large barn with loft area which can be finished, has septic electric, and water. Possible owner financing available. Listing provided courtesy of Crye-Leike Delozier Realty.